To help you with your own content marketing, I will add free downloadable and printable content marketing and copywriting resources to this page. Don’t forget to check back soon as more will be added. 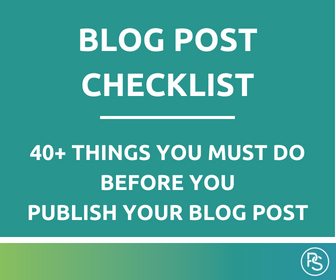 Download this checklist of over 40 things to do to help you write and publish an effective blog post and save you time by helping you get it right first time.